ONCHAN, Isle of Man, December 20, 2016 – Football superstar and PokerStars brand ambassador Cristiano Ronaldo stars in an exciting advertising campaign that hit TV screens across his home nation of Portugal recently. 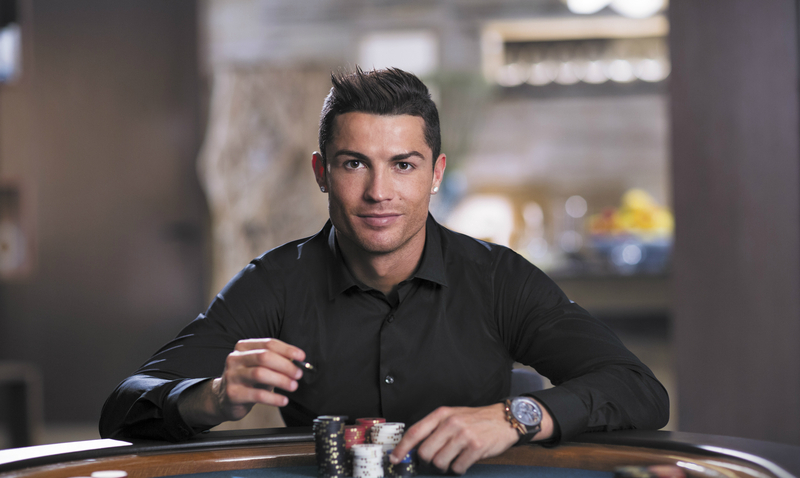 The campaign, called ‘The Game’, features Ronaldo commanding the poker table with a group of friends and marks the launch of PokerStars, an Amaya Inc. (Nasdaq: AYA; TSX: AYA) brand, the world’s largest poker site, into the regulated Portugal market. Based on initial internal observations, the launch of a regulated Portuguese market appears to have been enthusiastically embraced by consumers. PokerStars.pt, dubbed “Ronaldo’s room” by Record, the second most bought and read newspaper in Portugal, is now one of the busiest online poker sites in the world based upon real money cash game players, according to PokerScout, an online poker traffic ranking and news site. PokerStars.pt has already dealt over 36 million hands across real money cash games, multi-table tournaments and Sit & Go tournaments, as well as awarded more than €11 million to players in MTT’s and Sit & Go’s in 19 days. PokerScout provides estimates of the number of players at cash game tables at the major online operators, which is just one form of real money poker, and does not track liquidity in poker tournaments. For instance, Spin & Go tournaments, which have become one of the most popular formats of poker in the world, are not included in PokerScout’s recorded numbers. Spin & Go tournaments are not currently available in Portugal. PokerStars.pt offers Portuguese players poker and casino games, such as Blackjack and Roulette (single and multiplayer), on desktop (Windows and Mac) and mobile (iOS and Android). PokerStars expects to seek appropriate approval to expand its offering of poker variants and casino games, including slots, and to offer sports betting through BetStars in Portugal in the future.